Are you thinking about a garden themed party for your little one? 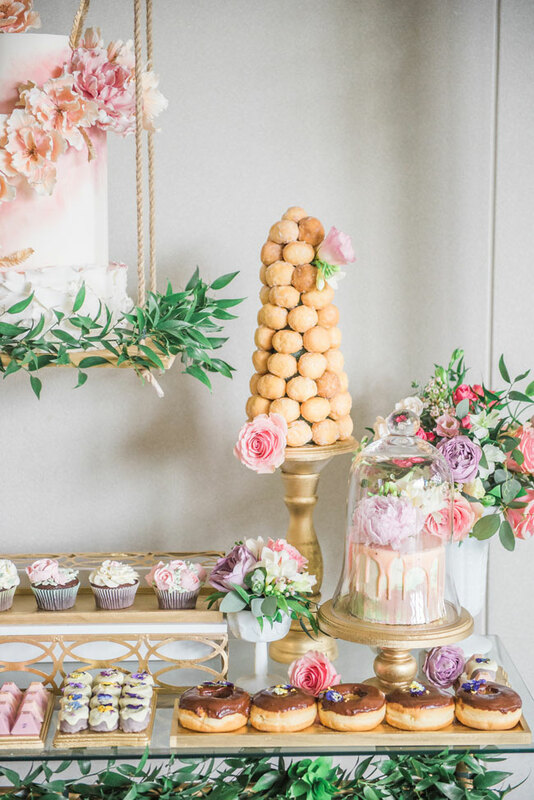 Take notes from this first birthday party with stunning pink and gold details and tons of beautiful flowers! 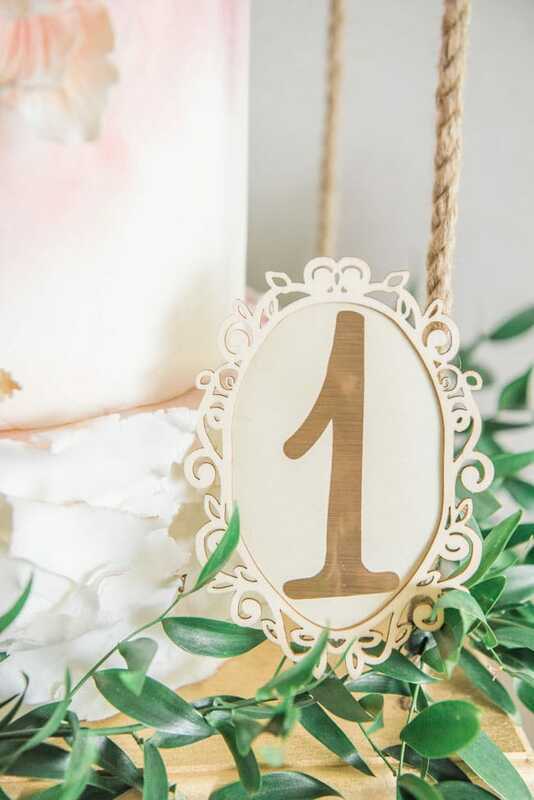 There’s nothing quite as beautiful and dreamy as this Gorgeous Garden Themed 1st Birthday Party! 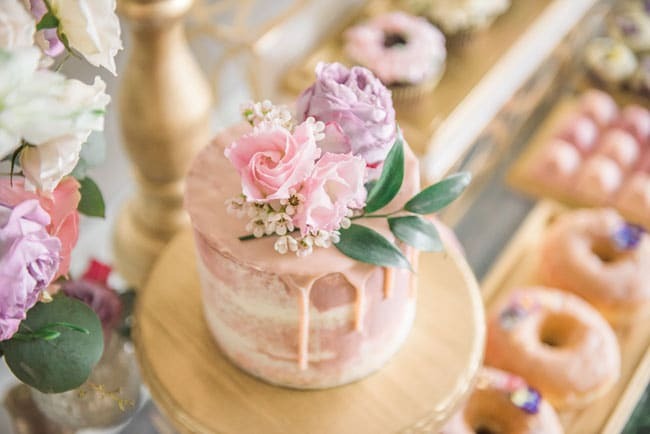 Any little girl would be lucky to have such a whimsical garden themed party celebrating their first birthday! If you’re planning a party and are looking for garden themed ideas, this party is the perfect inspiration. 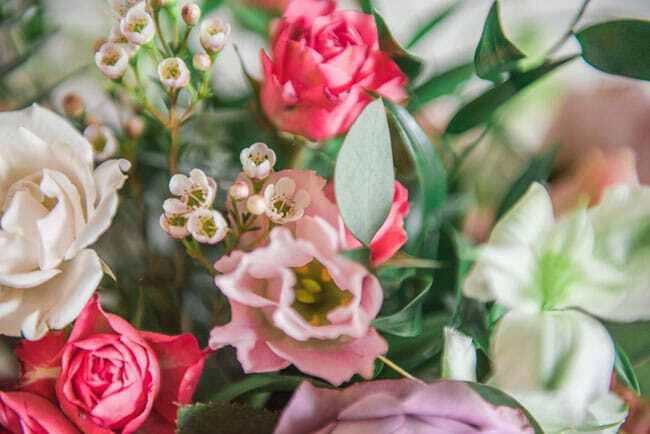 When you think of a garden themed party, the first thing that comes to mind is flowers. 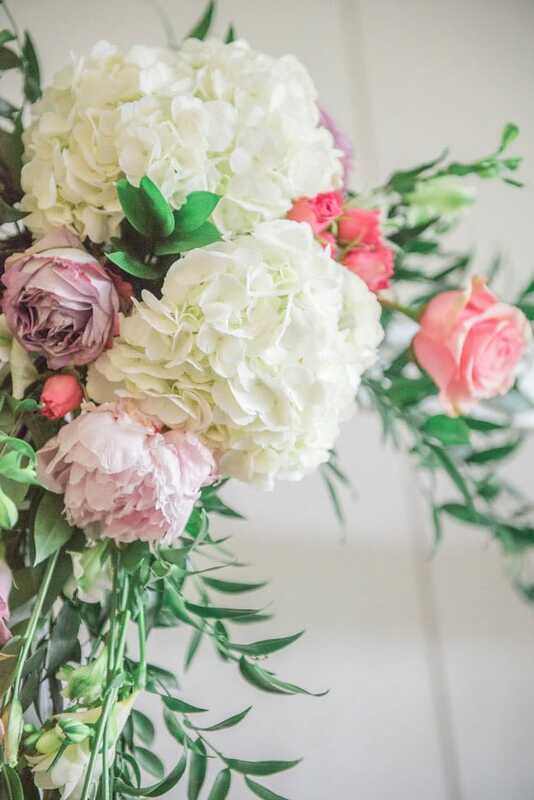 And this party has no shortage of stunning florals! 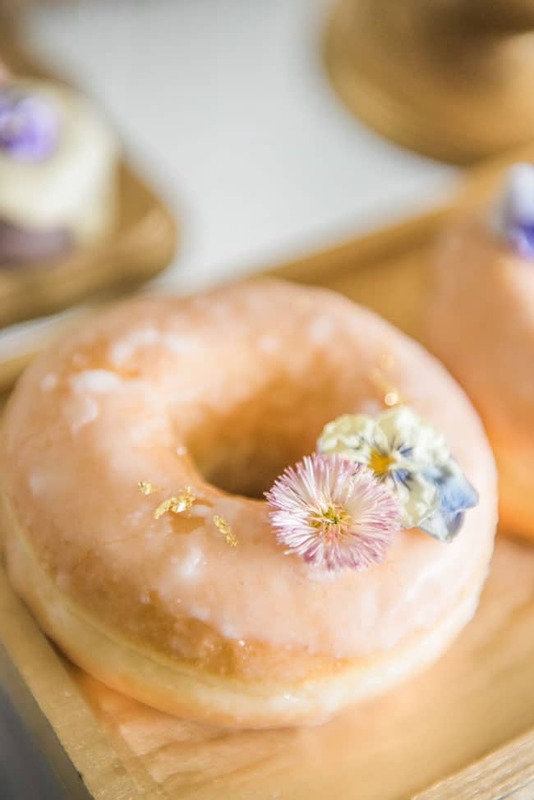 Flowers adorned the birthday cake, dessert table, cupcakes, donuts, and various other desserts on the dessert table. The color palette was perfect for this garden themed party with blush pinks, soft violets, golds, and whites with just a touch of greenery for that true garden effect! 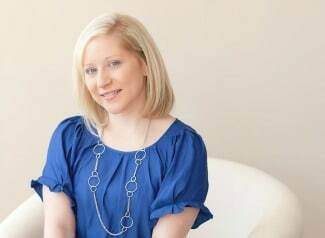 Finding inspiration for a sweet girl’s first birthday party was a fun proposition. The elegant garden theme was easy to come up since the birthday girl has loved flowers since she was just a few months old! 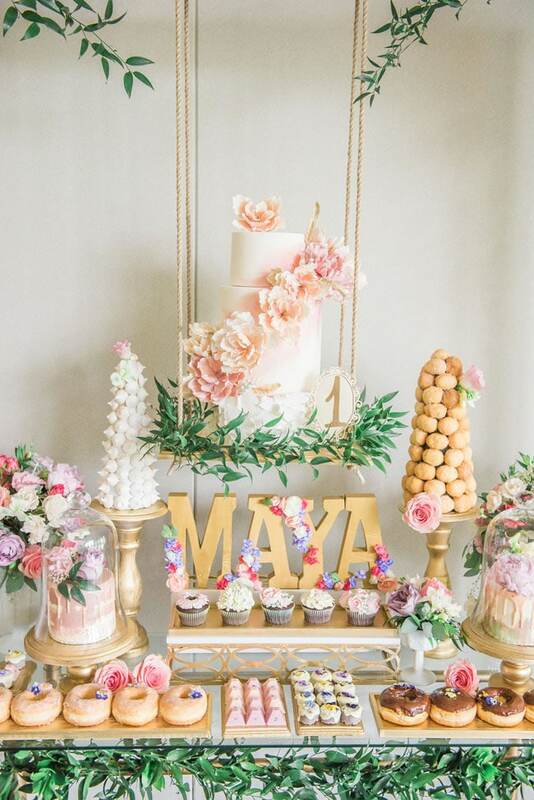 We love how this garden themed party is so sweet and girly just like the adorable birthday girl! As you can see, this garden themed party had no shortage of gorgeous flowers that matched the color scheme of the party. 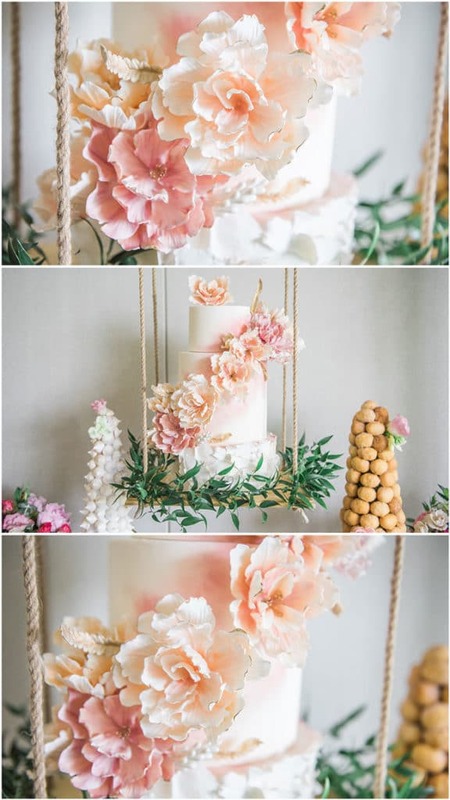 This garden themed party features the most beautiful dessert table with the birthday cake hanging from the white wooden structure. WOW! 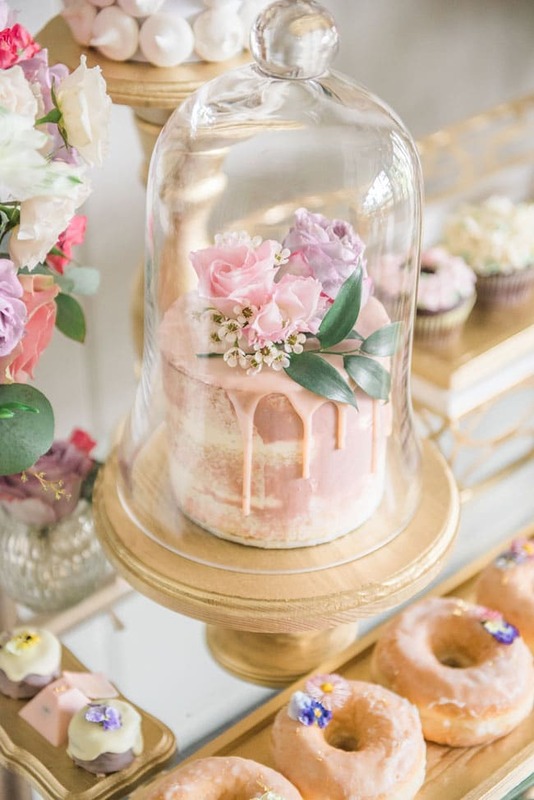 The creativity that is used with the dessert table and desserts are mind-blowing! 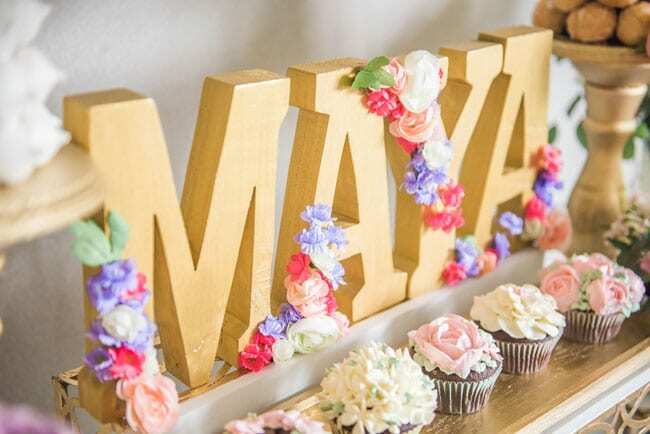 The birthday girl’s name is spelled out in wooden letters surrounded by flowers. What a great way to personalize the garden themed party. 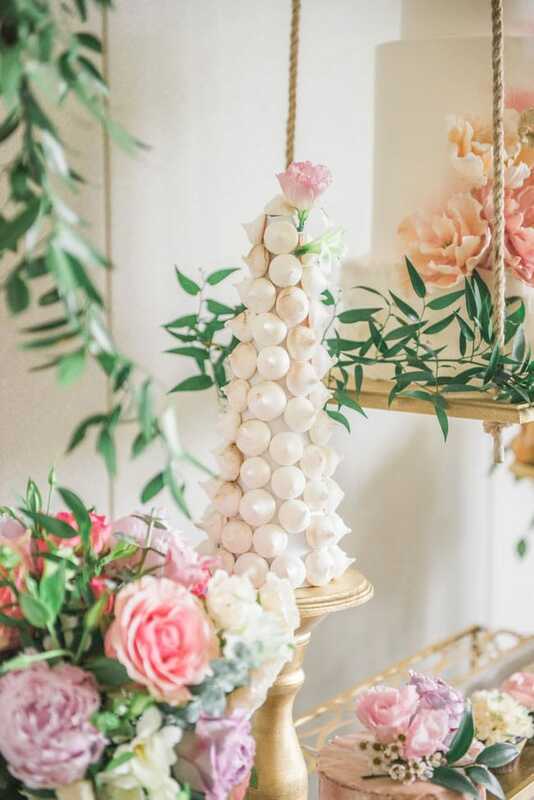 This stunning garden themed dessert table was pure perfection! We love how the design is so visually appealing, highlighting this garden theme. 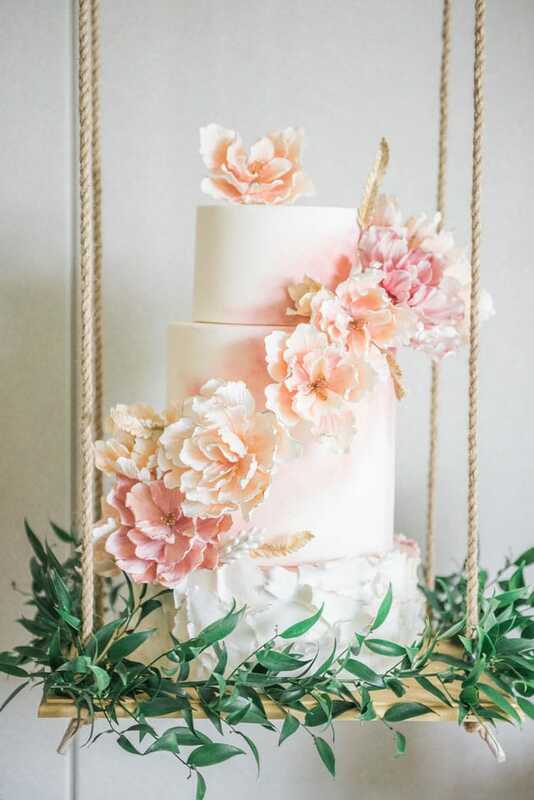 One of our favorite ideas in this garden themed party was the gorgeous birthday cake with flowers that was suspended above the other desserts on a cake swing stand! The cake was absolutely stunning and looked too good to eat. It truly was a work of art. All of the garden themed party decor was so elegant and feminine. 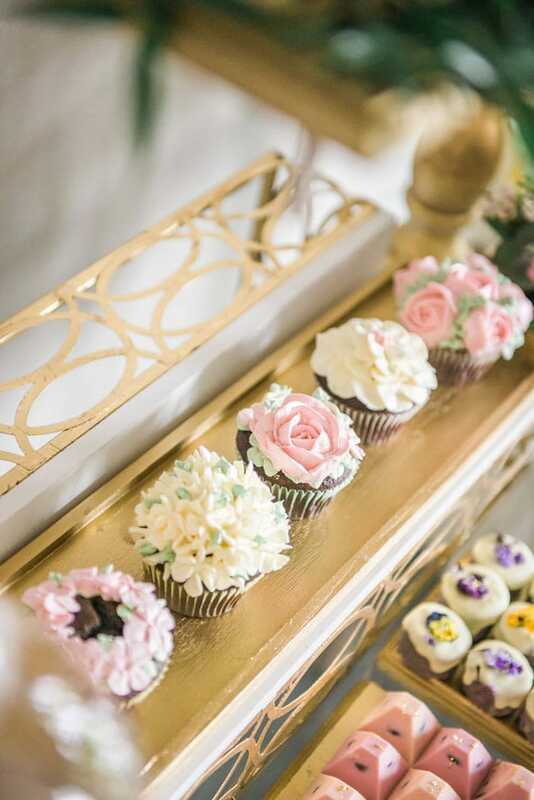 Gold dessert platters and cake stands looked beautiful against the gorgeous pink and violet flowers. 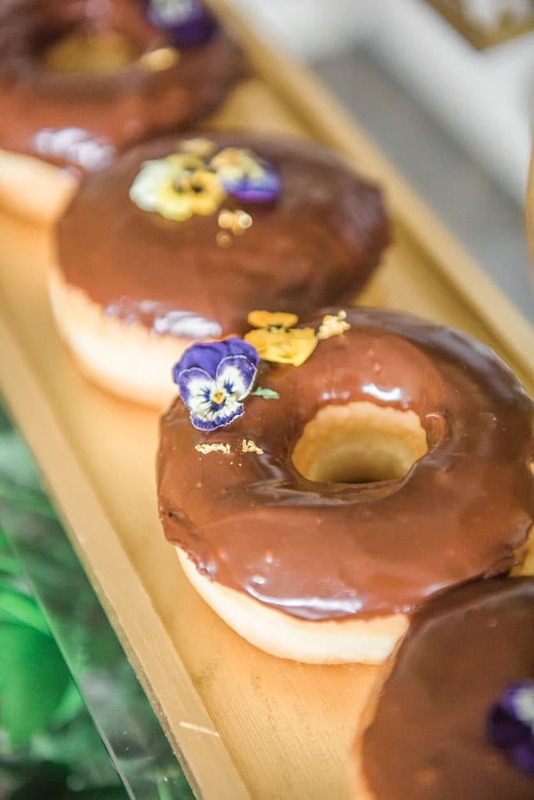 Desserts that were chosen for this garden themed party were carefully decorated in order to match the color palette and the theme of the party. 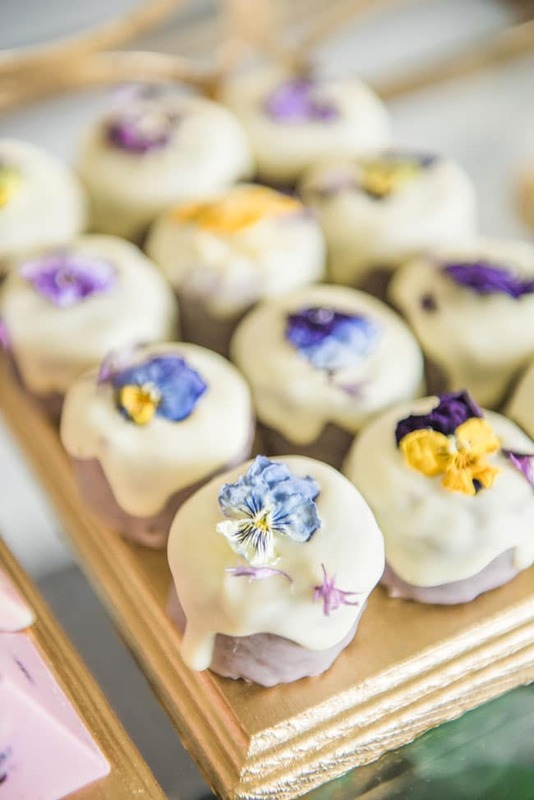 The garden theme was seen throughout the party with the use of edible flowers for the desserts. 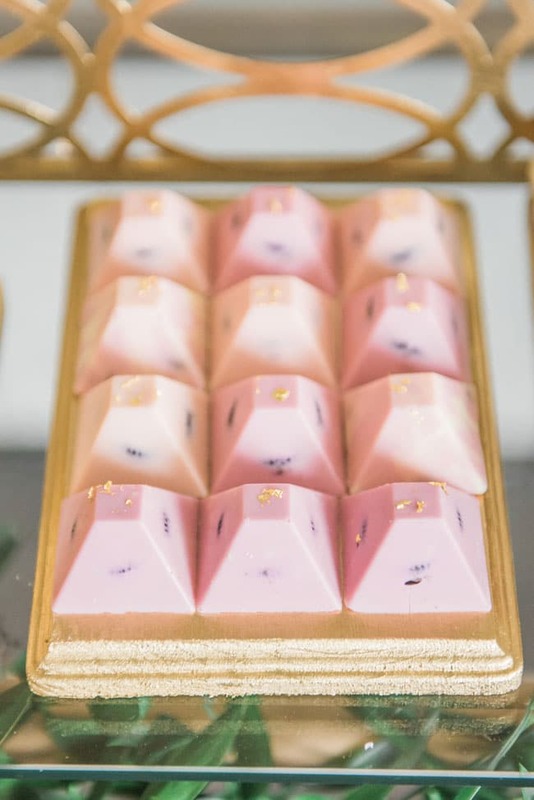 Touches of edible 24k gold added an elegant touch to the desserts. What a gorgeous compliment to the overall garden theme! 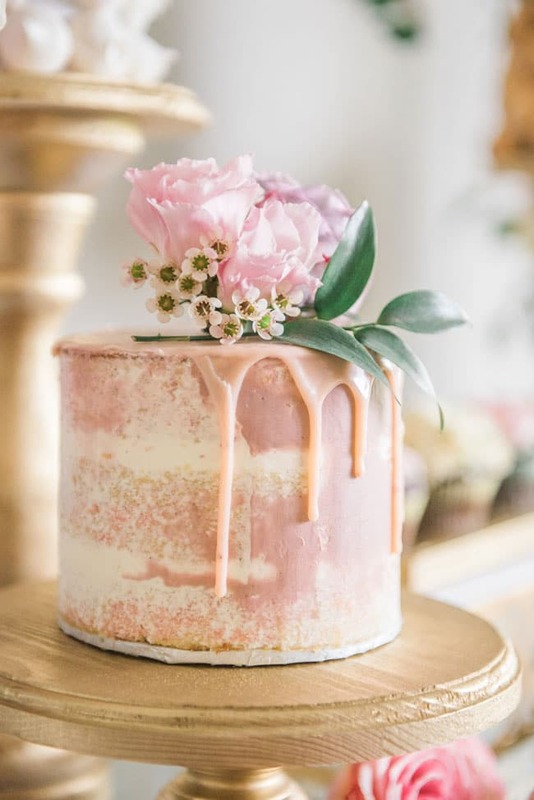 It’s always important to give guests a variety of desserts at a party and this party did just that! 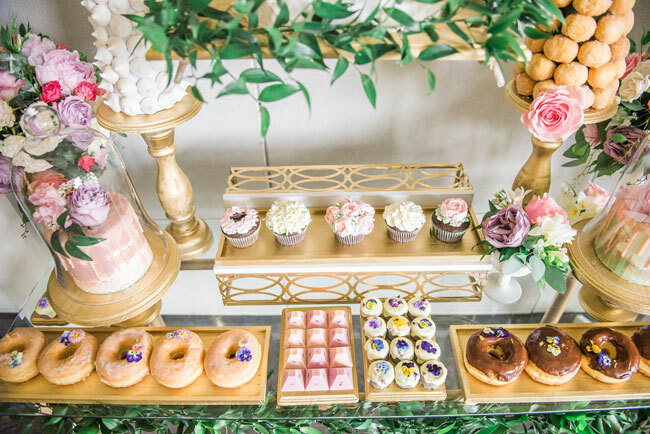 Guests were in awe of the incredible design of the dessert table and the impressive desserts for this garden themed party. How adorable is the little birthday girl wearing a light pink tutu?! She may not be smiling here, but we can tell you she had the most wonderful time at her garden themed party. She will have some amazing photos to look at when she gets older. We can’t wait to see what her parents do for her second birthday party! We just love the way this table and theme could be adapted for a variety of special events. Anything from a bridal shower, baby shower or christening would be a perfect way to utilize this elegant garden theme! 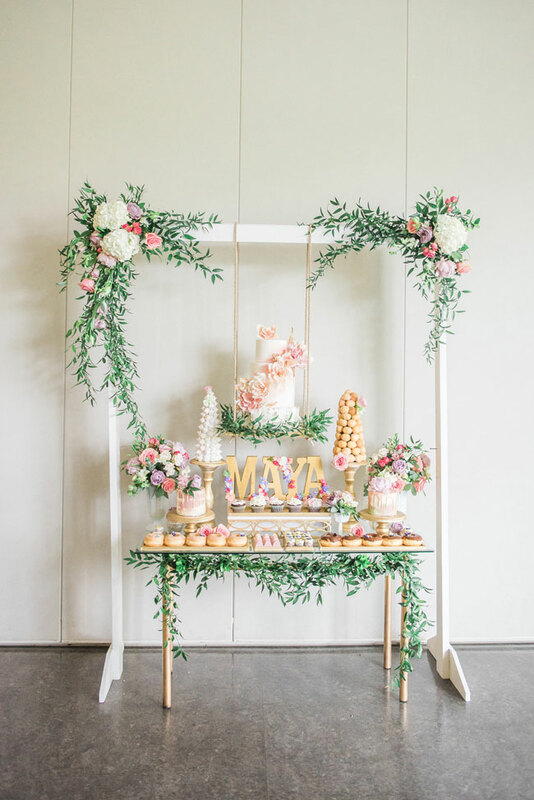 So if you’re planning a special first birthday party and can’t decide on a theme, why not take the inspiration from this jaw-dropping garden themed party. 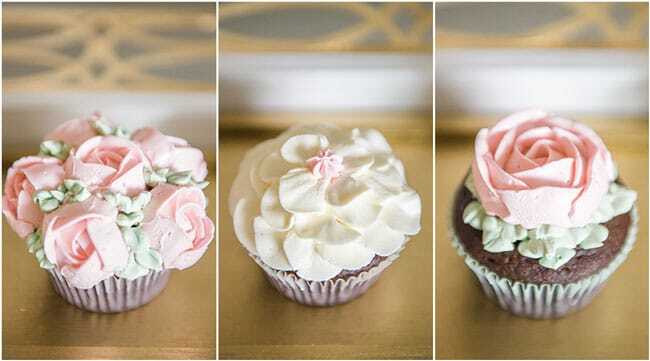 You can never go wrong with tons of gorgeous flowers and impeccably designed cakes, cupcakes and desserts! 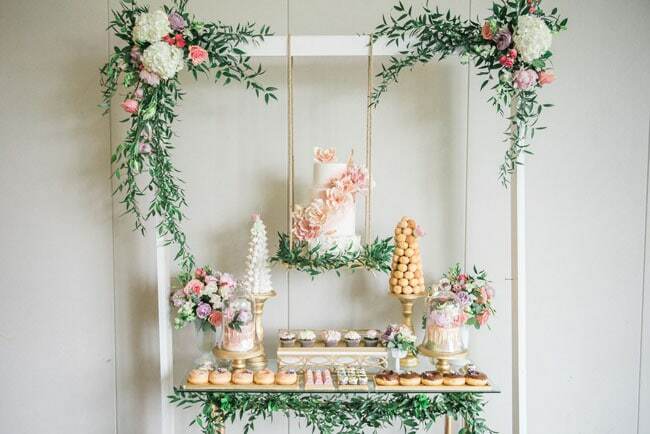 What’s your favorite idea in this Gorgeous Garden Themed 1st Birthday Party? Let us know in the comments below. 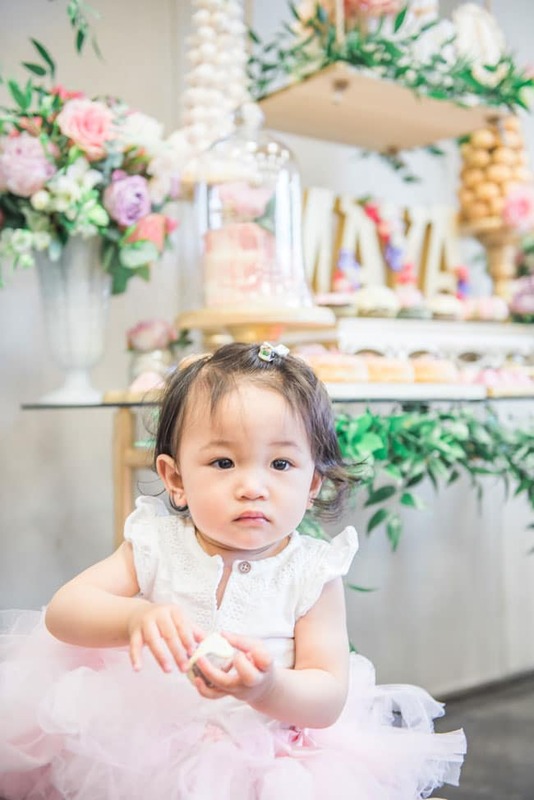 For more first birthday party ideas, follow us on Instagram @prettymyparty and Pinterest and join us in our private Facebook group.